For visibilty; framing components may not be scaled to the image size. There is more to matting than pretty colors. With hundreds of colors to choose from it may surprise you that nearly all of the top selling mats are neutrals. Neutrals are timeless and are easy to move from room to room or to a new home so they add to the longevity of your frame designs. By all means use color when and where it is appropriate but be aware of the many benefits of neutrals. Perhaps the most important factor when selecting a mat is quality. The very best mats available are made from 100cotton rag. The next step down are mats made from alpha cellulose. Both of these are used for conservation grade framing to help preserve the piece being framed. Mats of lesser quality are made with more highly acidic wood pulp. They are more prone to discoloring, but more importantly, they tend to accelerate the deterioration of the art. Another consideration when matting is the border widths. There are a lot of variables to think about before making your final decision. It is not as simple as smaller picture get narrower mat border and larger picture gets wider border. Look at the colors and shapes within the art no matter what the size is. Two of the same size picture may look good with different border widths if the shapes are larger in one than the other. Mat borders can also be used to help art fit a wall space better. If you are using multiple layers of mat in your design, it typically looks best to vary the widths of the accent colors. For example, for a triple mat your borders could be 4'' for the predominant mat, 3/8'' exposure for the second (middle) layer and 1/8'' showing of the lower mat. In general this will look better than using 4'' 1/4'' 1/4'' which would be the same overall size. To make a smart frame selection, consider Color, Style and Scale. Unless you make greater choices in each category, your frame design will not look its best. Frame can blend or contrast with the art or mat it is adjacent to. Blending colors will bring a subtlety to the design whereas a stronger contrast will be more dramatic. One look may be more appreciated than the other for specific colors and styles of art. 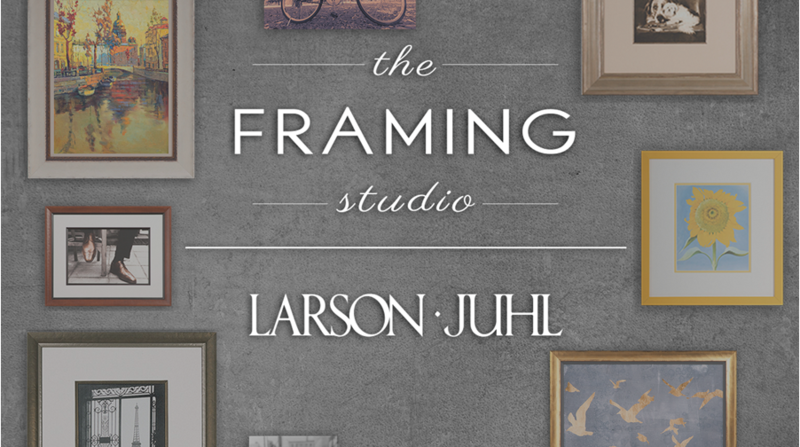 It is common to choose a frame that matches or relates to the style of the art, but it isn't always necessary. When framing period pieces it is desirable to choose a matching style. When framing newer art it can be fun to intentionally choose an unexpected style to add interest. There should be a relationship between the art and frame but it may come from a pattern on the moulding replicating the look of something in the art. When it is essential to use a frame from a specific period, Finished Corner Frames (also known as Closed Corner Frames) are a great way to create an authentic look. Choosing an appropriate width and depth frame is important. The frame needs to be substantial enough to physically support the size and weight of the piece being framed, meaning a heavy plate glass mirror will require a wider frame than a lightweight stretched canvas. A frame should also look supportive of the visual weight of the art. Darker colors, heavy textures and bold patterns can all contribute to the appearance that art is heavier than it may actually be. If framing several sizes of the same print, the frame should get progressively wider for larger sizes to maintain the same sense of balance from one to the next. The era of the art can also guide your selection. Different frame widths were popular at various times in history. The depth of a frame should be able to accommodate all the contents that will accompany the art, including glass, mats, backings, etc. Deeper frames than needed can also be used to project the art outward or recess it to add depth.